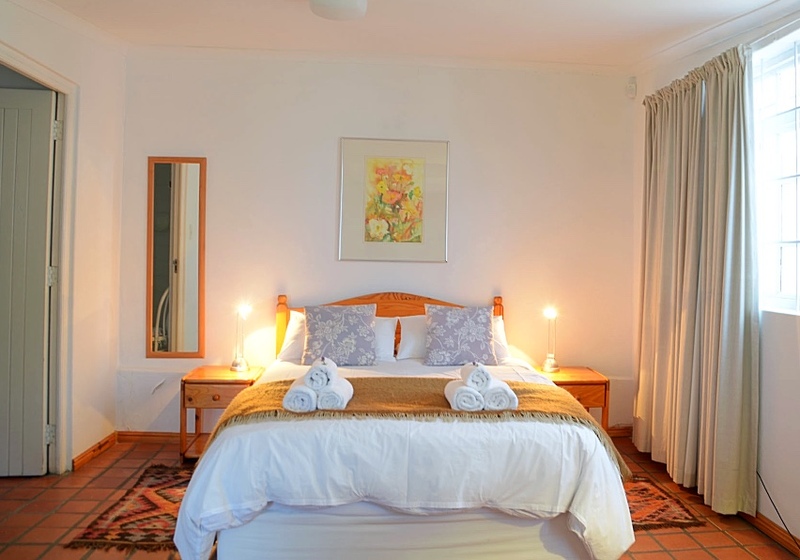 The Stables accommodates two guests in an open plan unit on two levels. 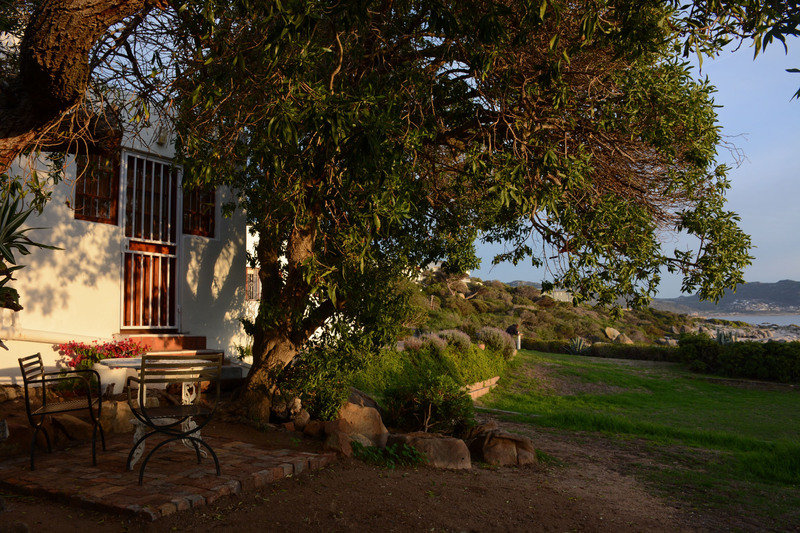 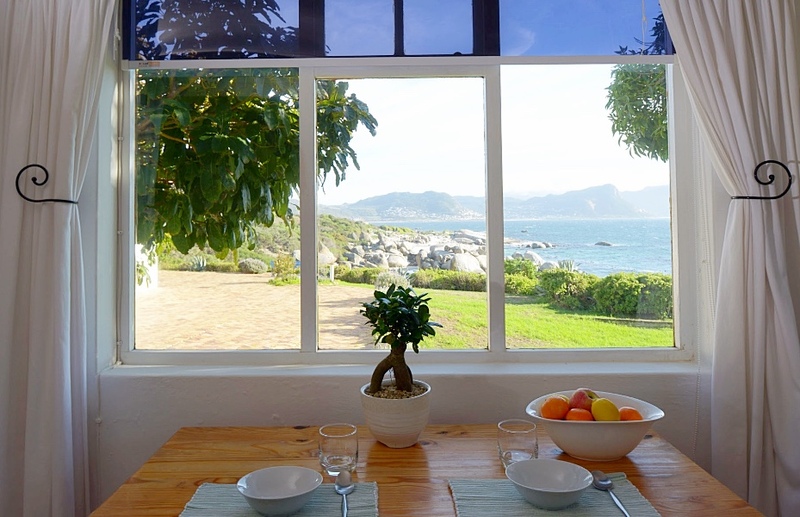 Boasts especially gorgeous views of the garden, ocean and distant mountain range. 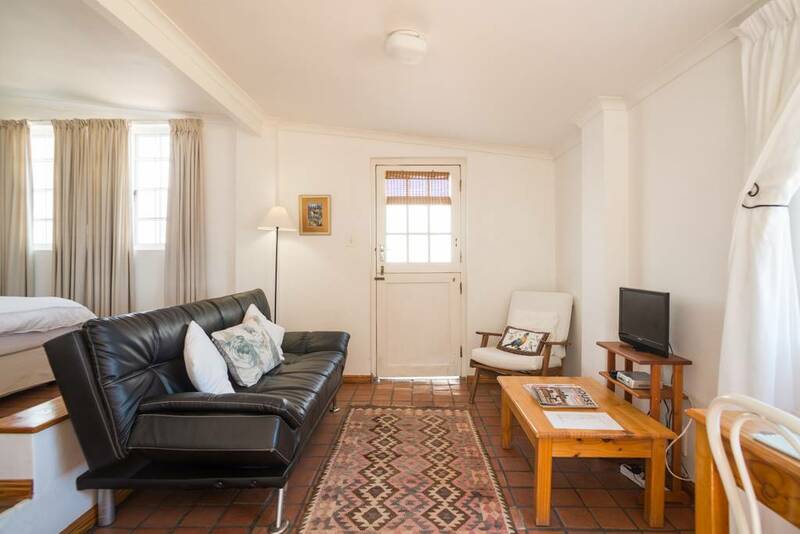 The lower level, living room area comprises the lounge, kitchen and dining room. 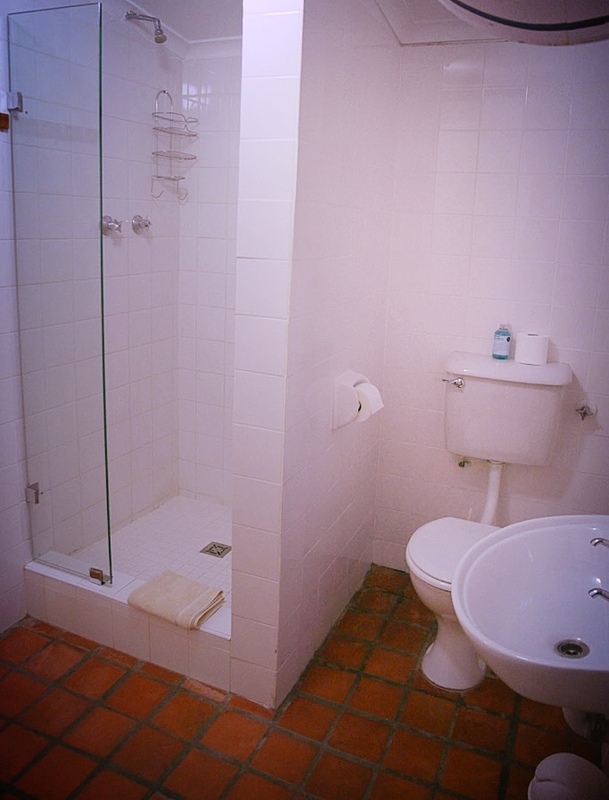 The double bed is on a raised level and has an ensuite shower and toilet. 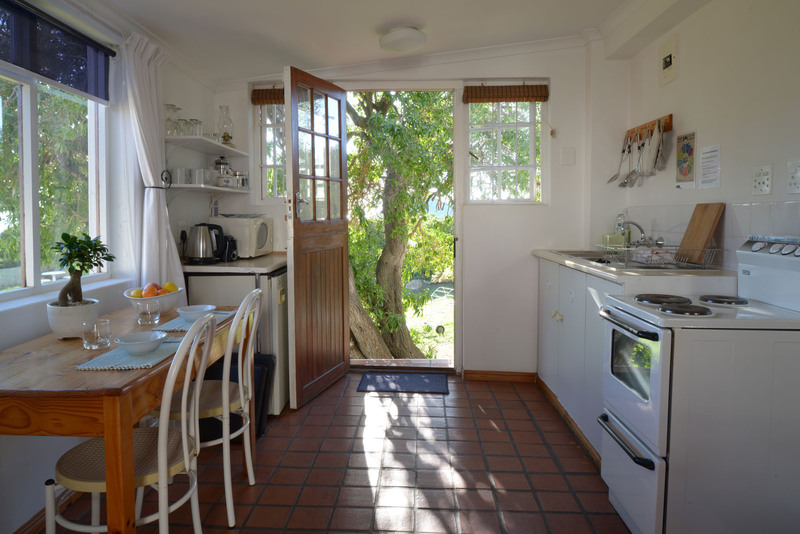 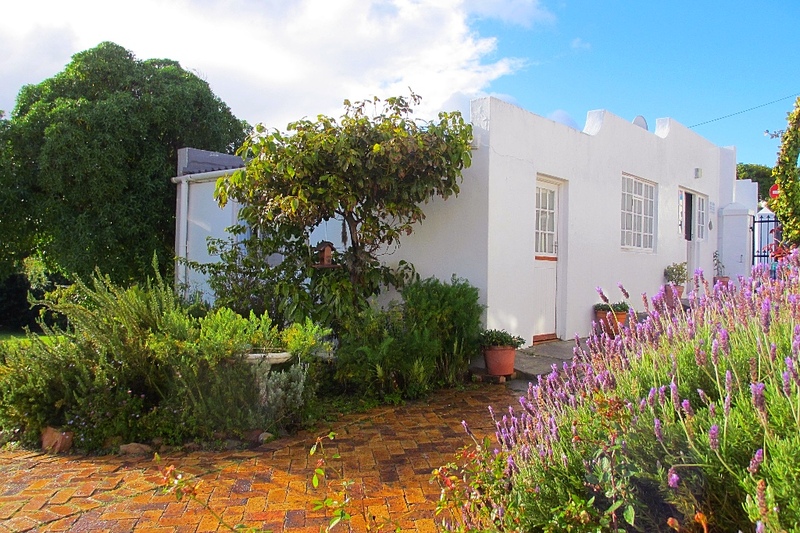 Step from the kitchen onto an outdoor terrace and braai area which is shaded by lovely old trees.